A common spirit runs throughout Yeshiva University: the mandate to matter. Students of all ages and backgrounds come here to pursue a range of professional and personal dreams, from scientific research and medicine to law, Jewish education or public policy. Our students seek to harness their unique talents and YU education to make a lasting impact on the world around them. This spring, when they graduate from YU, these new alumni will hit the ground running. In the weeks leading up to Commencement, YU News will feature one remarkable graduate from each school, reflecting, in their own words, on their time here, their passions and their dreams for the future. Meet the Class of 2013. Why did you choose Azrieli? Although I have been working in the field of Jewish education for over 15 years as a licensed clinical social worker (and a graduate of YU’s Wurzweiler School of Social Work), my professional focus has been mental health and the social and emotional functioning of students and their families. What brought me to Azrieli was the stellar faculty—professors like Dr. Scott Goldberg, Dr. Rona Novick and Dr. David Pelcovitz really demonstrate expertise in a range of fields and a holistic approach to education. A common critique of graduate education programs can be that they are too theoretical or academic, but not at Azrieli. Here, there’s a strong demand for evidence-based practice and academic rigor, but the ability to implement practice in a pragmatic and meaningful way trumps all. Azrieli has become the go-to school for Jewish education because its commitment to the advancement of the field is unparalleled. That being said, the most rewarding thing for me so far has been getting to know my fellow students. I never before had the opportunity to work with such a diverse and talented group of individuals from across the country with such a high level of commitment to Jewish education and professionalism. For me, it was a real opportunity to meet and learn from people with many different approaches to the field. What accomplishment during your time at Azrieli are you most proud of? If I had to pinpoint one thing, it would be defending my dissertation for the Fanya Gottesfeld Heller Doctoral Program. Six years of coursework, study, research, writing, feedback, more writing, more research, more feedback, all comes down to two hours in a room with the individuals that encouraged you to achieve your maximum potential, engaging you in a professional dialogue and critique of your work. In my case, that was an evaluation of cyber bullying in yeshiva middle schools. 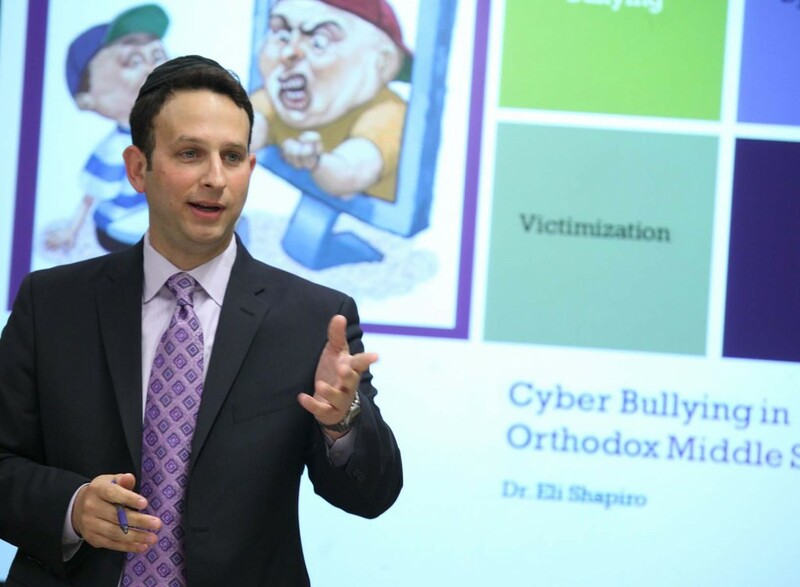 I explored the prevalence of cyber bullying and victimization in our schools, how bystanders respond when witnessing cyber bullying, whether gender or age affect the likelihood of those behaviors and if behaviors differed when the bullying was online versus in schools. Two of my key findings were that the rates of cyber bullying in yeshivot were similar to published findings in the secular population, and that boys and girls were equally likely to engage in it. Both findings have significant implications for how Jewish day schools need to approach this issue, as the consequences of cyber aggression can be both permanent and profound. 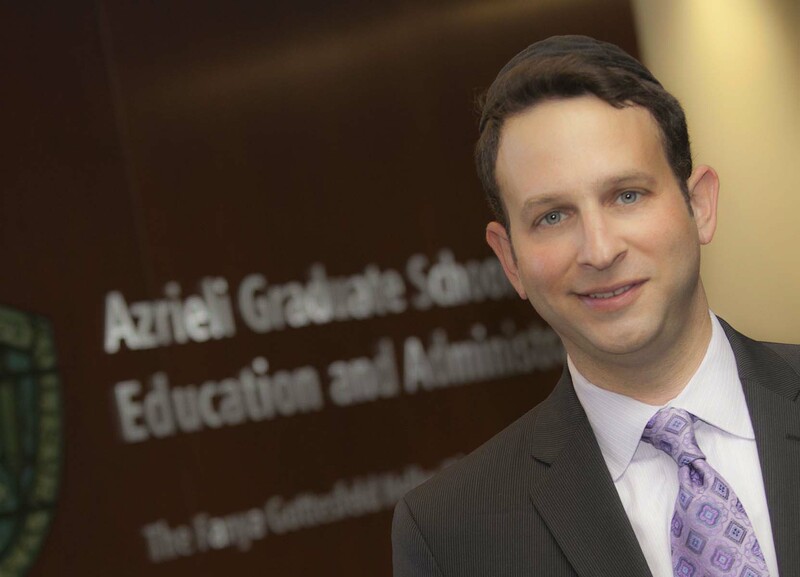 During your time at Azrieli, you oversaw a day school affordability initiative in Queens and Long Island as a program manager for YU’s Institute for University-School Partnership. You also managed a national research study on the effectiveness of Dr. Rona Novick’s BRAVE (Bully Reduction and Social Leadership Program) school-based bully prevention program. How did these experiences impact you? One thing that struck me was the complexity of Jewish education. A yeshiva is an entity with many gears that need to work in concert to maximize successful outcomes. It goes beyond the classroom and pedagogy, although those are important parts of the whole. A charismatic rebbe imparting Jewish values is affected by the successes and failures of the business of Jewish education—whether in the realm of salary structures, tuition-setting strategies, major donor cultivation, alumni development, board professional relations or even purchasing agreements with vendors. When a school is not maximizing its potential in one area, it often affects the others. The second thing I learned was the importance of professionalism and a data-driven approach to implementing change in any aspect of school function. Whether it’s related to academics, school culture or school business, an intervention based on a poor assessment of the issue is unlikely to yield the desired results. My approach to any communal or educational project is that nothing takes place in a vacuum and therefore you need the engagement of multiple systems to create a meaningful and lasting impact. I view “community” and all entities under that umbrella as an ongoing tool for assessing need and implementing intervention strategies. I look to create communal resources where none currently exist or to improve and make accessible those that do. Next year, I’ll continue my work with institutions that range from kindergartens to high schools in the area of student support and special education, and oversee Machon Basya Rochel in Lawrence, a post-high school seminary committed to helping Jewish women continue their studies in halakha [Jewish law] and hashkafa [oultook]. I’ll also continue to help schools tackle complex social issues like school-based and cyber bullying, substance abuse, and improving school culture.